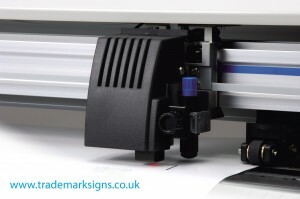 Trademark Signs produce a range of signs and systems out of all types of materials, from vinyl to acrylic, metal and wood. If you can’t find from stock what you are looking for then we can make it. Combining the market leading software with professional equipment we can custom MANUFACTURE signs tailored to your needs. The quality of our signs have to be seen to be believed ensuring you stand alone in attracting the eye of your future custom! From as little as some vinyl graphics cut on our plotter to multi-fabricated signs involving many processes with all the bells and whistles, no job is too big or small and we are always there to help and offer advice. Find out more about our custom made signs.